Ventilated, lightweight Mini-ITX enclosure with discrete faceplate featuring hidden USB 2.0 ports. The M350 is an incredibly compact enclosure capable of housing a broad suite of Mini-ITX mainboards. Designed with the utmost versatility in mind, it can either support two 2.5" HDDs, four cooling fans, or a combination of the two (an additional mounting bracket is required, case comes with one bracket), and the brackets can be positioned in different locations along the top of the case to accommodate boards with tall components. The M350 permits fanless operation (natural air convection via hundreds of tiny holes) for mainboards with a TDP of less than 10 watts. For boards with a TDP of 65 watts or less, active cooling from the CPU fan is more than sufficient.  This case is excellent for project customers; it can easily be re-branded (space exists for a label on the front of the case) and it features a Smart Power button, which can be disabled in order to protect the system from accidental shutdowns. 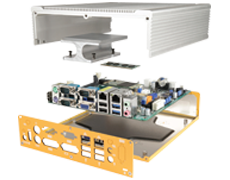 A wide variety of mounting options, such as DIN-rail and VESA mount, are also available for this case. Please contact a technical sales associate for more information. If you're looking for a more industrial and customizable case, check out our durable, compact MC500. An additional mounting bracket is required to support two hard drives. If two hard drives are installed, we highly recommend adding a 40 mm case fan to the front of the case.